Canada window tint laws are different in each province, and this article provides all relevant information about window tinting laws in Newfoundland and Labrador. Our information about Newfoundland and Labrador Window Tint Laws was last updated and verified in 2018 and 2019. Our articles are constantly checked for accuracy by our partnered Canadian traffic law experts, but in case any of our info provided is not up to date or correct be sure to contact us so we can fix it. Thanks! Each Canadian province has its own rules and regulations, and violating vehicle equipment laws can get you cited even when visiting other provinces. 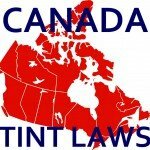 See our main Canada Window Tint Laws page for an overview of car tinting laws for all provinces and to find out if Newfoundland and Labrador Window Tint Laws can result in fines in the rest of Canada.